"The structure provided to Staff-level personnel is a great way to get your feet wet in all disciplines of our field, which in turn maximizes each employees’ talents." At CEM, we believe in providing long-term engineering solutions with lasting environmental impacts. Our standard of quality and technical proficiency go hand in hand with our commitment to providing innovative and affordable solutions to water conveyance challenges. 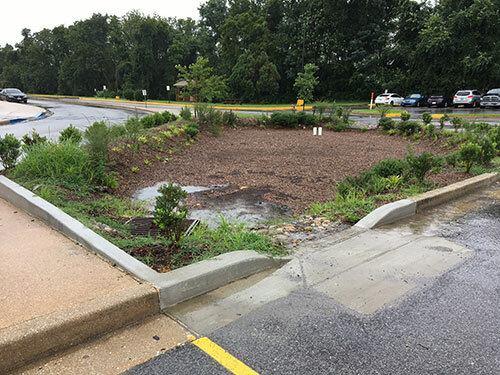 Cecil County Public Schools, assisted by the Cecil County Department of Public Works, obtained grant funding to design stormwater management facilities at two local high schools. The project at North East High School required a design to restore 500 linear feet of degraded stream banks. 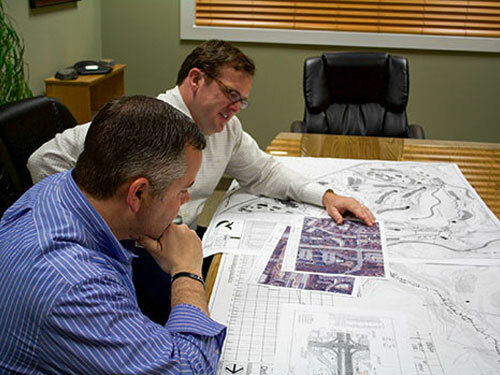 The project at Perryville High School required a design to retrofit a failing stormwater management pond. Additionally, two micro-biorention devices were also designed at each school. Design all features within the existing site constraints of each school while preserving the aesthetics of each campus environment. With a commitment to proactive and transparent communication, CEM engaged the administration, students and maintenance professional at each school in the design process. CEM’s designs resulted in reducing the amount of nitrogen and phosphorus entering the local waterways, which were identified as having a high priority for improvement in both the “Northeast River Watershed” and “Lower Susquehanna River and Furness Bay Watershed” assessments. CEM executed the work for this project in 2016. 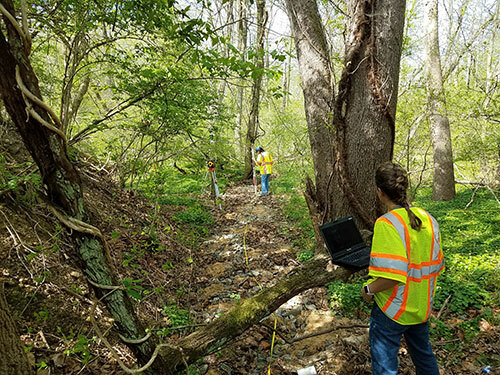 In support of repair work for the Baltimore Harbor Tunnel, CEM prepared erosion and sediment control plans and details for slope stabilization areas within the existing MDTA right-of-way of I-895. Due to the high volume of traffic on I-895, CEM faced challenges in using traditional construction sequencing details for installation of stabilization features. CEM worked with the client to develop an alternative sequence of construction that achieved the project goals without adding cost and maintaining the safety of drivers and construction workers. Unstable slopes along this heavily traveled roadway can cause failure of the road substructure as well as pollute nearby receiving waters, thus early detection ad repair can save money and minimize adverse impacts to drivers and the environment. CEM began working with MDTA on this E&S Design project in 2015 and concluded the work in 2016. 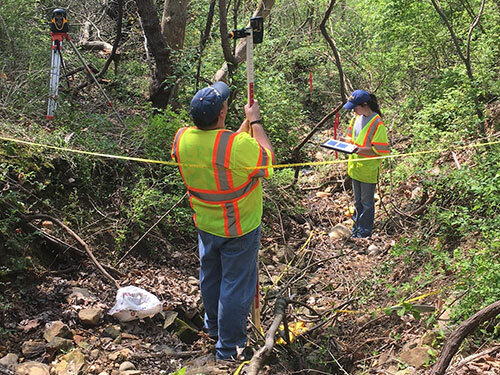 CEM prepared a design to restore 4,500 linear feet of degraded stream channel resulting from more than 100 years of operations at the former Green Spring Quarry. This work included designing a passive cold-water supply to downstream areas to improve trout habitat. CEM is now conducting the permit-required 5 years of post-construction monitoring to assess impacts to the stream. Multiple exposed sewer lines and privately-owned properties within the floodplain. 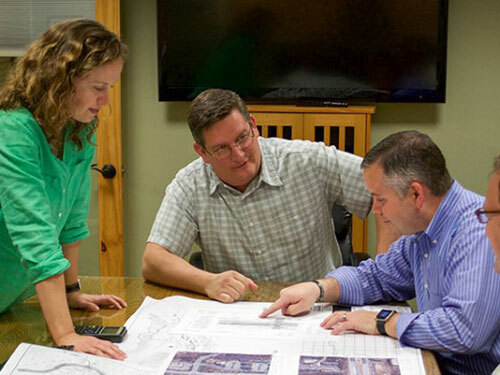 CEM first identified all project stakeholders, including a private school, and conducted multiple meetings to understand stakeholder needs for the project, and incorporate these needs, where practical, into the design to facilitate the permitting process. In addition to improving downstream fish habitat, this project provided an opportunity for CEM to work with students from the adjacent school in preparing designs to eliminate stream blockages, reduce flooding of adjacent properties, and reduce sediment loads to the stream. This ongoing project with Koren Development Company, Inc. began in 2010.